Dry to moderate moisture. Prairies, roadsides, railroads, open sites. 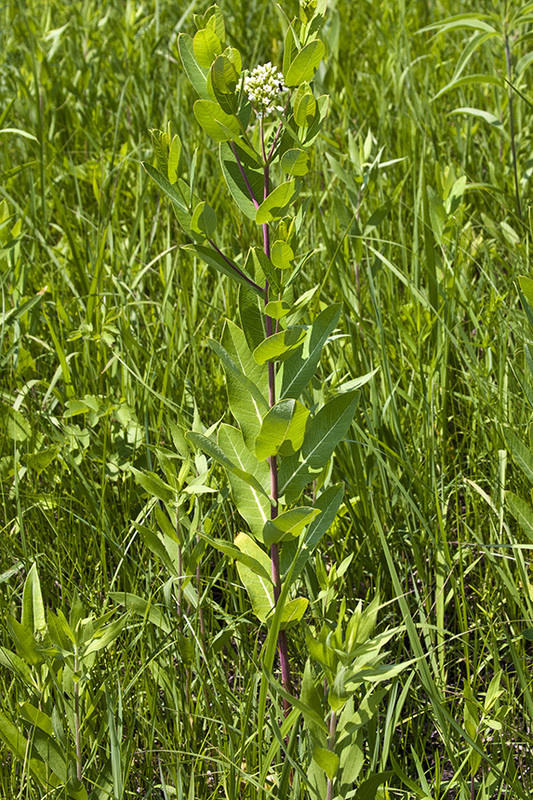 This is a 2′ to 5′ tall, erect, perennial forb rising on a single stem from a taproot and long rhizomes. It often forms colonies. 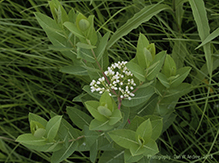 The stems and leaves contain a milky juice. 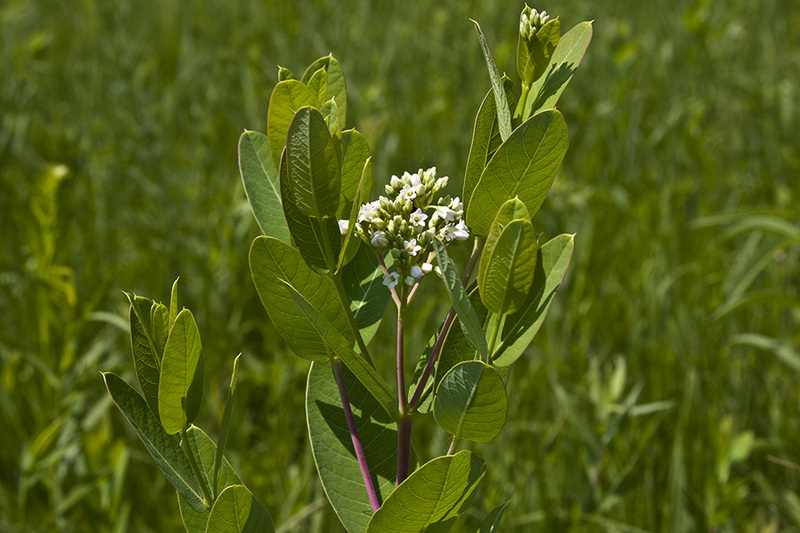 The stems are erect, reddish-brown, branching above the middle, and often covered with a whitish, waxy bloom. 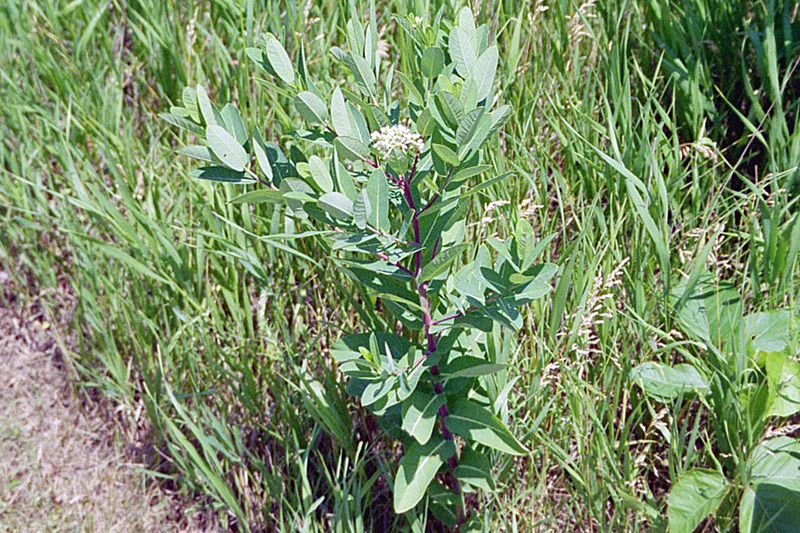 The lower stem is hairless, the upper stem hairy. 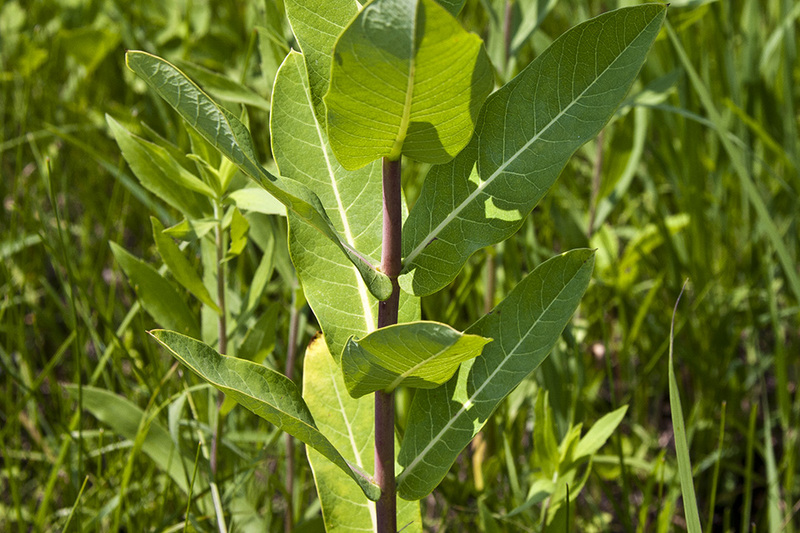 Leaves are opposite, untoothed, and egg-shaped or roughly egg-shaped but two or more times as long as wide with more or less straight sides. 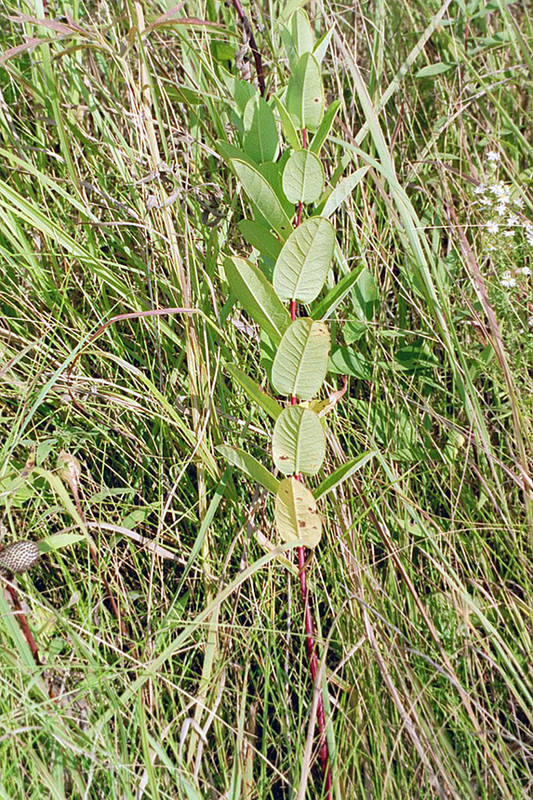 They are on short leaf stalks. 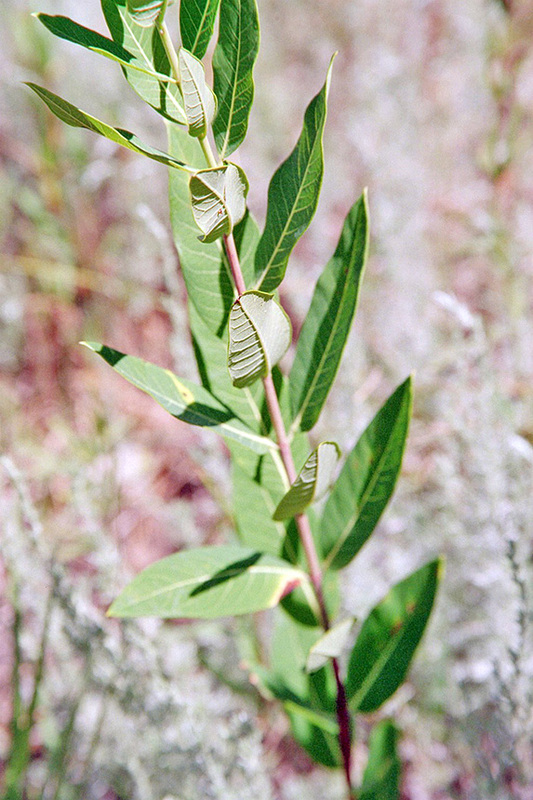 The stalks of the main stem leaves are ⅛″ to ⅜″ long. 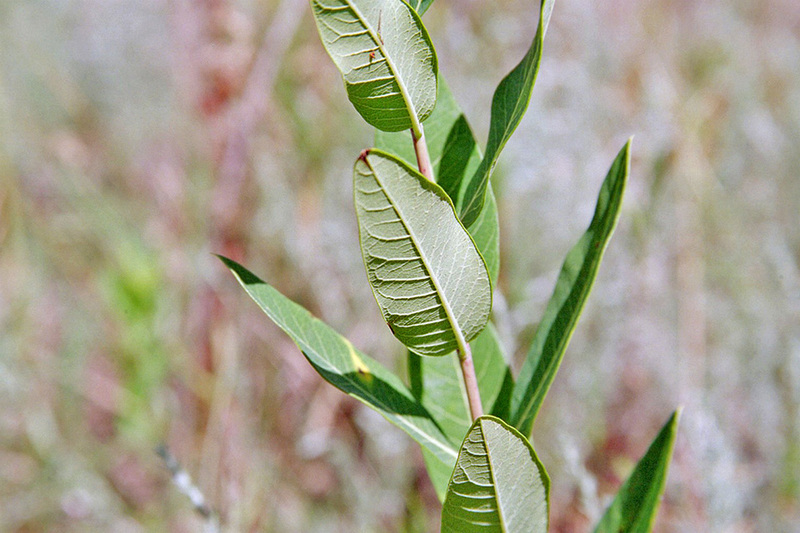 The leaf blades are 2″ to 4⅓″ long, up to 1½″ wide, usually erect or ascending, sometimes widely spreading, with a short, sharp, abrupt point at the tip. The upper surface is hairless and dark green. The underside is pale is usually hairy. 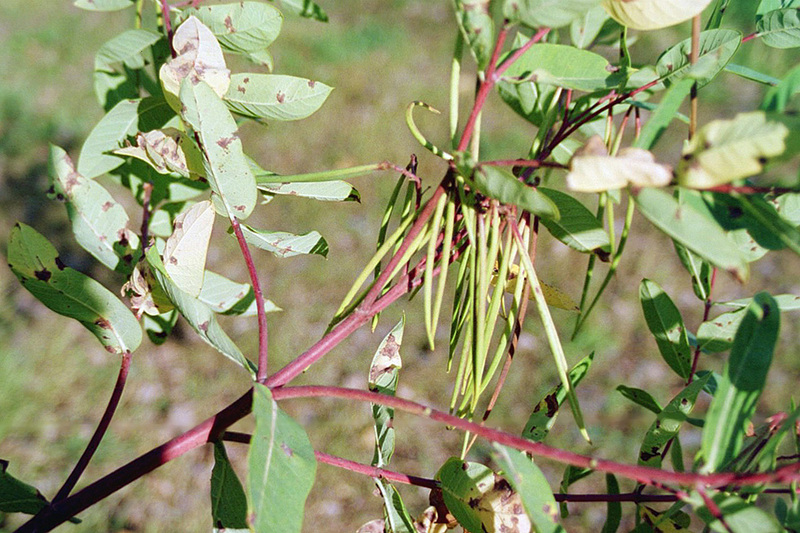 The hairiness of the leaves is variable. 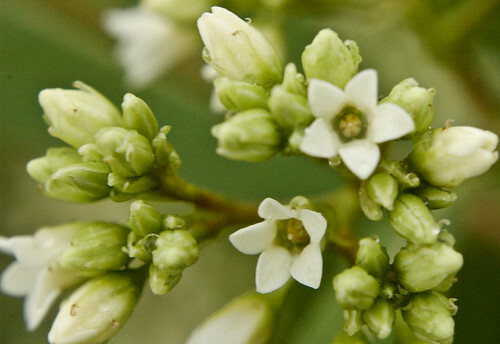 The inflorescence is a branched cluster with many flowers at the ends of the smaller stems. It usually does not extend beyond the leaves. 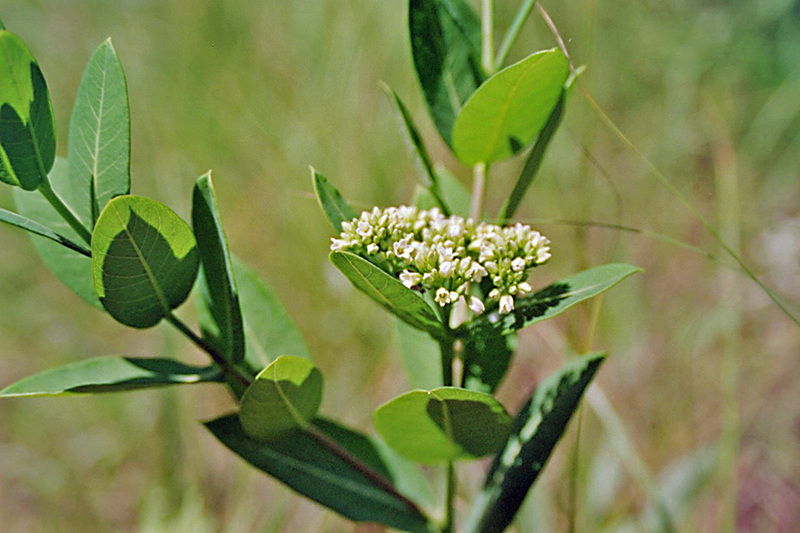 The flowers are ⅛″ to ¼″ wide, fragrant, and erect on flower stalks that are just over ⅛″ long. The 5 white or greenish white petals are united at the base to form an urn-shaped cylinder with 5 lobes. The lobes are erect to spreading and do not curve backward. 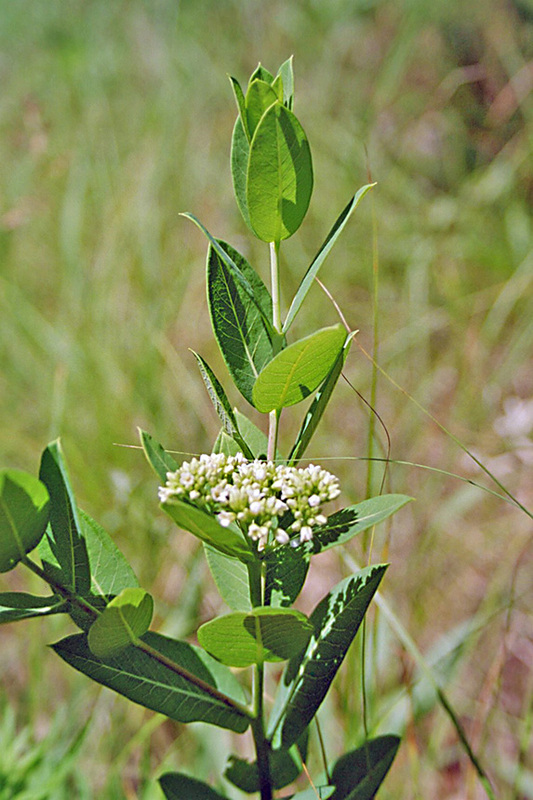 The fruit is a pair of 4″ to 8″ long slender seed pods. Spreading dogbane (Apocynum androsaemifolium) is a shorter plant. The leaves droop downward. 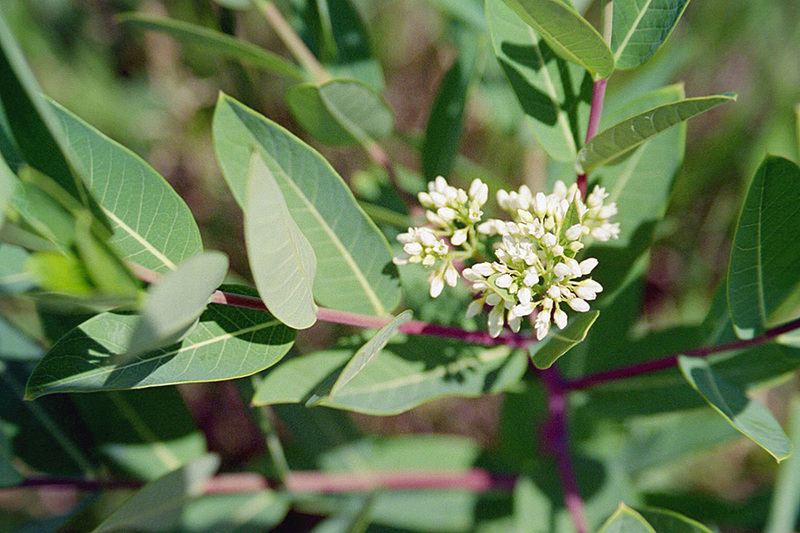 The inflorescence usually extends beyond the leaves. The flower is larger, bell-shaped, with pink vertical stripes. The corolla lobes bend backward strongly. In late June and July Common Woodnymph - Cercyonis pegala, is common sight in the meadows. I had never seen this species feed on any flowers, generally Satirids do not feed as adults. But I was surprised to see freshly emerged Woodnymphs nectaring from Apocynum cannabinum flowers. 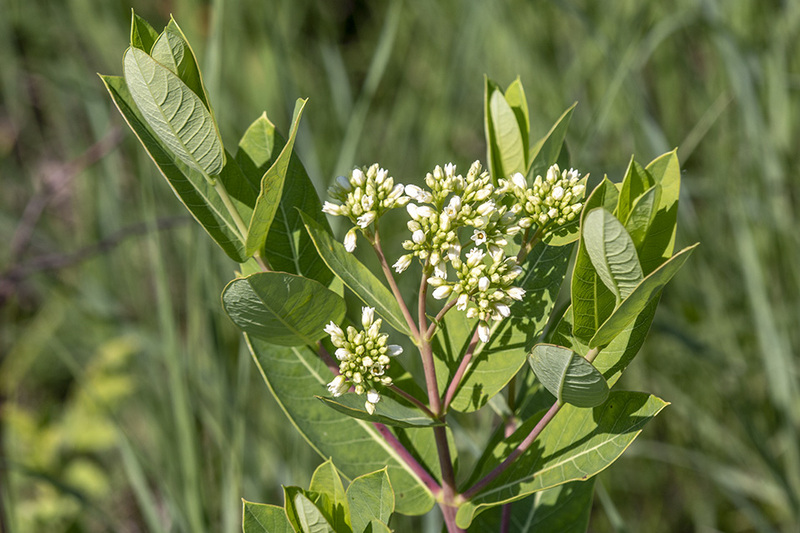 This video tells to story of how a partnership between state, federal and tribal organizations helped preserve the historic Apocynum Cannabinum or Dogbane plant in Oregon's Willamette Valley.